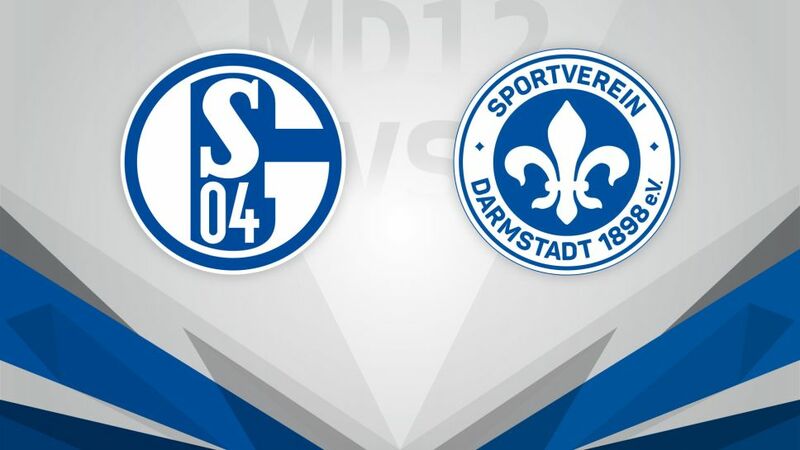 FC Schalke 04 will be looking to continue their impressive surge up the table when they take on SV Darmstadt 98 at the VELTINS Arena on Sunday 27 November (kick-off 15:30CET/14:30 GMT). Markus Weinzierl’s side have hit their stride with an unbeaten run of six matches to date that has taken them into midtable and away from the relegation zone. A late winner from Leon Goretzka against VfL Wolfsburg on Matchday 11 extended the Royal Blues’ impressive vein of form, and another three points would see them edging near the European places. Darmstadt’s form has dipped in recent weeks, but they were inches away from taking the lead last time out, only for Änis Ben-Hatira’s free-kick to hit the FC Ingolstadt 04 crossbar. The Tunisian missed from close range later, and Die Lilien came to rue these and other missed chances when slipping to a 1-0 defeat – their third in a row. Their away form has been poor but coach Norbert Meier knows a change in his side’s fortunes will see them move away from the wrong end of the table.